It's only through self-acceptance that you can find lasting and sustaining motivation to improve yourself and your life. Positive energy supports positive change; negativity promotes paralysis. We all do it: we make our New Year's resolutions early in January and then by mid-month, we're back to our old ways. It's hard to find the motivation to take better care of ourselves and to follow through with all the behaviours that will make the coming year better than the one before. We want to lose that stubborn extra five pounds; we'd like to take our relationship to the next level, or maybe we realize that we need to end it; we want more challenge and fulfillment in our job; we want to improve our level of fitness. All these things are great goals, so how do you translate the desire to change into a reality? How do you keep yourself from dropping the ball on yet another set of New Year's resolutions? I think that there is a way that you can be more consistent in following through on your plans to improve your health, relationships and career in the New Year. It starts with you developing the two essential attributes for change: self-awareness and self-love. These two attributes can help you go from being a chronic resolution-breaker to a consistent resolution-keeper this coming year. Here's how it works. First, tune in to yourself and look at what you're feeling. This lets you get in touch with what you need. When you're honest with yourself about your feelings and needs, you can more easily identify your counter-productive behaviours -- the ones that aren't giving you what you really need -- and you can start exploring some new behaviours that will work better for you. If, for example, you identify that you've been feeling lonely, and that you need more connection in your life, you might realize that your evening junk food binges have been a poor substitute for human companionship, and you might resolve in the New Year to join a club or group, and get out there and meet some new people. You could go on a diet, but that's just a superficial change. No matter how much willpower you put into losing the weight, you're missing the point, which is that what you really need is some new friends. It's a lot easier to let go of those binges if you're giving yourself what you need. Then, the weight will come off because you've lost the urge to binge; not because you're forcing yourself to diet. If you get in touch with your real feelings and needs, you create a win-win for yourself: you stop the bad habit AND you get to have what you really need. Self-love is one of the best motivators, in my mind, for positive change. If you can let go of your self-criticism, self-doubt, self-directed anger; your shame and your self-blame, and just see yourself as the flawed but beautiful individual that you are, it will be a lot easier to change. Negativity toward yourself creates pain and resistance to change. People tend either to give up in despair of ever improving things or the inner child acts out in defiance against the nasty inner critic. You might be able to whip yourself into shape temporarily, but there's always a backlash where you get frustrated, hurt or angry and then shut down. So instead of trying to force, bully or shame yourself into changing, find some love for yourself and change because you believe that you deserve a better life. When you get in touch with what you really feel and really need, and when you're loving and accepting toward yourself instead of angry and self-critical, you'll find the motivation to eat healthy, exercise more, and improve your relationships and work life. You don't need to keep setting, and breaking, New Year's resolutions. In 2016, choose to go a bit deeper, discover your authentic feelings and needs and love yourself for exactly who you are. 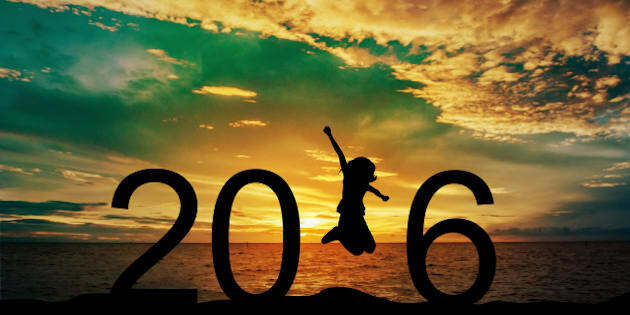 That's all the motivation necessary for you to create a spectacular 2016.